Special Moments Catering will take care of all the details and assures everything will run smoothly. We will also provide a peace of mind, the highest food quality and warm hospitality for all of our corporate catered functions. At Special Moments Catering, we understand excellence in innovation and that performance is the key to a successful corporate event. We know the details are important. We strive to exceed all your expectations through elegant dining and superior event planning. With our creative menu planning and attention to detail, Special Moments Catering has established its name as one of Northeast Ohio’s premier catering companies among the corporate world. 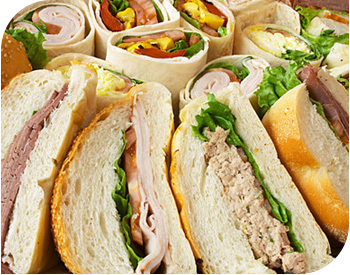 Whether you’re planning an employee appreciation cookout, a year-end corporate celebration, an executive business luncheon, or a causal office holiday party, Special Moments Catering makes your catered corporate event simple and easy. We provide you with the creative suggestions and the support you need to guarantee your event is a success. Your special corporate event deserves special catering. Allow Special Moments Catering to capture the moment for you. At Special Moments Catering, we build long lasting relationships with our clients here in Ohio. Many return time and time again, when needing catering, banquet services, thanks to our warm hospitality and delectable food. What our clients say, means a lot to us. Special Moments Catering takes great pride knowing we helped make your Ohio-catered event a success!